Google has long been rumored to be working on a smartwatch first internally through Motorola and now with partner LG, and now we finally have an idea what the specs will be. More Google (LG) smartwatch specs: 1.65" IPS LCD @ 280x280, 512MB RAM, 4GB internal storage, processor TBD. That is a larger screen than found on most smartwatches and in addition to being higher resolution it is also slightly sharper than other watches, many of which use a 1.5" screen with a resolution of 240 x 240. But it's still a smaller and lower resolution screen than on the recently announced Samsung Gear 2 smartwatches. This watch also has the same amount of RAM and storage as on Gear 2, but the processor is still a mystery. @evleaks has been shown to be consistently reliable in the past, so these specs are the real thing. And they are probably also a sign that the watch is going to ship in the next few months. This matches up with previous rumors. 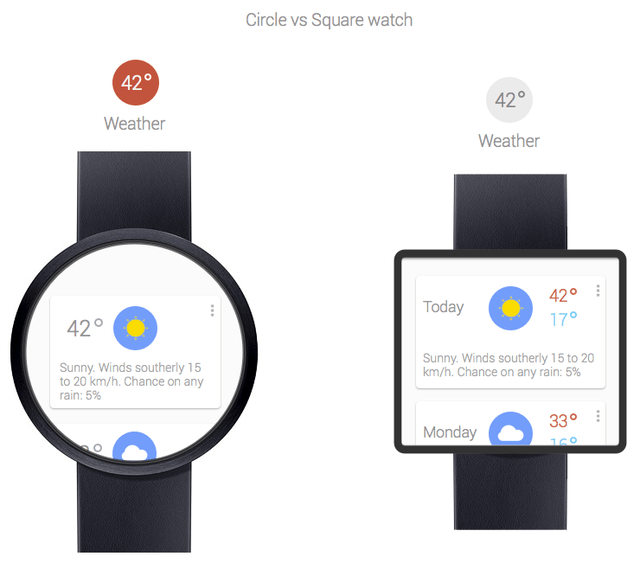 which had claimed that the watch would be announced this month and debut in June at Google I/O. And late last week, Google’s Android and Chrome head Sundar Pinchai announced that Google would launch a wearable SDK within a few weeks, also suggesting that a new wearable would launch. I was never really taught how to spell.